We have now had three out of our four Learning Spaces Roadshows for this year, with one more to be held on Monday 30 November. Listening to your feedback on current issues, heating in some learning spaces appears to be of concern and our Operations colleagues are working to address this. In addition to this a number of issues have been raised which could be ‘quick wins’ to fix, including broken floor boxes, squeaky doors and doors which slam (presumably because the closers are either broken or ineffective). Longer term, some lecture theatres are described as ‘uncomfortable’ in terms of the distance between writing surfaces and seating, flip table seating is universally unpopular both in lecture theatres and seminar rooms, and lighting in some rooms still appears to be an issue. We will be assessing the short term issues with a view to fixing what is possible over the Christmas break as well as assessing the other issues raised with a view to putting a longer term fix in place. We have received lots of interest and feedback from staff and students on our proposals for the new Spring Lane Building on Heslington West and the Piazza Building on Heslington East. Some of this feedback includes discussion relating to teaching boards at the front of the new lecture theatre in Spring Lane Building and plenty of opinion on the seminar rooms and layouts, all of which will be taken on board and discussed at the next working group. Please keep this feedback coming as we want to create a space that is conducive to our students to learn in. Coming soon to a seminar room near you? 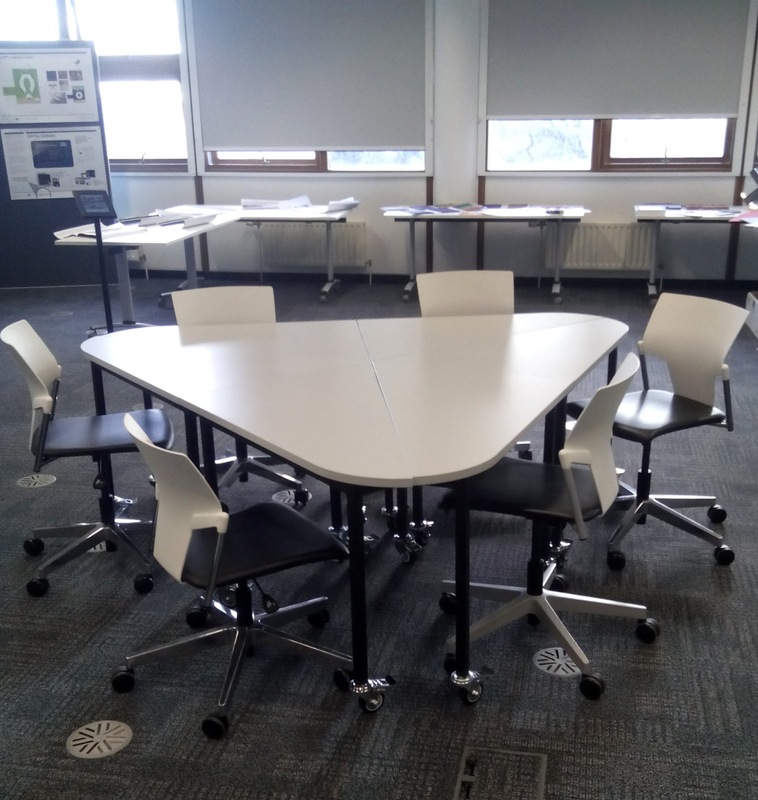 Please come along to our final roadshow on Monday 30 November in LFA/144 to hear about the latest Spring Lane and Piazza Building news, try out some flexible seminar room/collaborative space furniture and cast your vote on the style of lecture theatre chair you find most comfortable. As ever please send your feedback or comments to learning-spaces@york.ac.uk.